The questioning comes a day after Lalu Prasad was questioned for seven hours in connection with the case. Tejaswi Yadav appeared before the CBI after skipping two earlier summons. 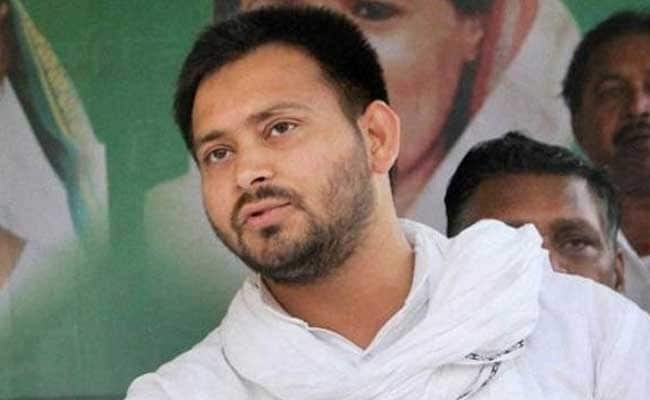 New Delhi: RJD chief Lalu Prasad's son Tejaswi Yadav today appeared before the CBI in connection with the ongoing probe into the 2006 IRCTC hotel case. CBI spokesperson Abhishek Dayal told IANS that Tejaswi was being questioned at the CBI headquarters in New Delhi. The CBI had on September 26 issued fresh summons -- the third in a month -- to the RJD chief and his son in the Indian Railway Catering and Tourism Corp (IRCTC) contract case. Tejaswi appeared before the CBI after skipping two earlier summons. The CBI on July 5 filed a corruption case against Lalu, his wife Rabri Devi and Tejashwi for alleged irregularities in the allotment of contracts for IRCTC hotels in Ranchi and Puri in 2006 to a private firm when the RJD chief was the Railway Minister. The contracts were given to Sujata Hotels, a company owned by Vijay and Vinay Kochhar allegedly in lieu of bribe in the form of a plot of prime land in Bihar, the CBI said. A preliminary CBI inquiry found that the said land was sold by the Kochhars to Delight Marketing and payment was arranged through Ahluwalia Contractors and its promoter Bikramjeet Singh Ahluwalia. The Enforcement Directorate had on July 27 registered a separate case under the Prevention of Money Laundering Act following the CBI FIR and was probing Lalu Prasad, Tejaswi and others for alleged transfer of money through shell companies.